At The Battle of Broadbridge Heath, Priscilla will be putting on her warpaint and putting her Heroweight Championship on the line! Live family-friendly pro wrestling action at the Coote’s Farm Community Day! 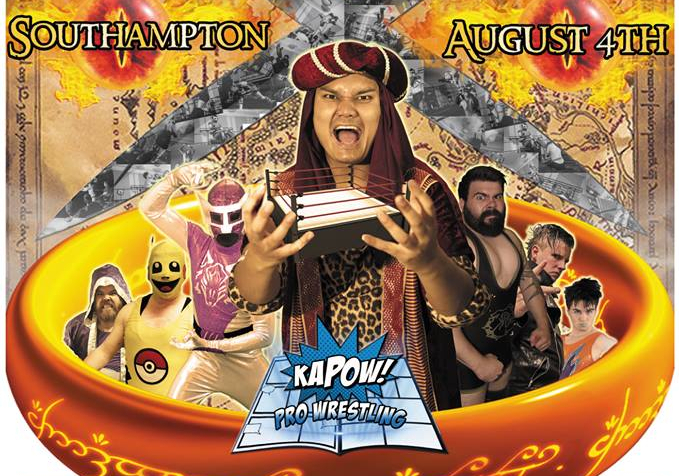 On Friday 25th May, KAPOW Pro Wrestling returns to the historic Jeneses Art Centre in Bognor Regis. Sports entertainment action for all the family! In Bognor Regis, the #CatchAsCatchCanComedyQueen Priscilla faces the House Dashing hardman known as the Hitman 4 Hire. Can beauty slay the beast – or is it time for Priscilla’s reign to bite the bullet?